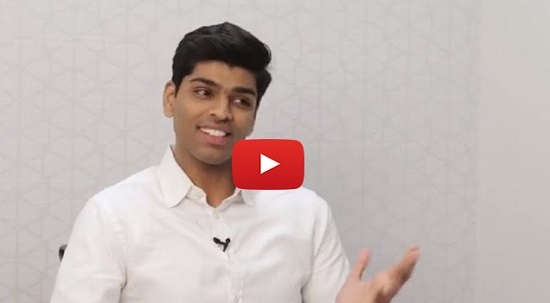 For Skanda Sandeep, a 2018 graduate of Simon’s MS in Finance program, the decision to come to Simon for a specialized master’s was an easy one. The School’s academic reputation was a key factor for him—one he saw play out in his own experience, with Cases in Finance and Options and Futures standing out as his favorite courses. 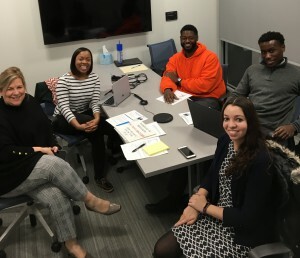 This preparation, paired with a key connection he made with a Simon alum at Citigroup, helped Skanda land a full-time role as a corporate and investment banking analyst in Citigroup’s Global Power, Utilities and Renewable Energy Coverage team. Our Round 4 application deadline is March 31—apply now to invest in your future. If you have any questions, please contact us at admissions@simon.rochester.edu or (585) 275-3533. If you’re an admitted Simon MBA student, tune in to learn about pre-MBA opportunities for those beginning the full-time MBA program in Fall 2019. Current MBA students Calvin Crockett ’20, Jazmine Carter ’20, Gavin Hall ’19, and Justine Lazo ’20 join Julie Sadwick, senior associate director of admissions, to share criteria for participation in these opportunities, why they chose specific programming, the benefits they received, and advice for members of Simon’s MBA Class of 2021. 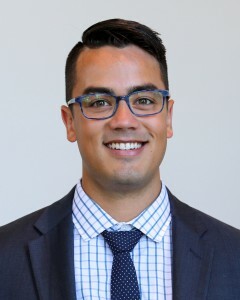 The following blog post was written by Mike Alcazaren ’19 (MBA), who is headed to Amazon as a senior product manager after graduation. If you plan to attend a pre-MBA conference, please contact the Simon Admissions Office at admissions@simon.rochester.edu or (585) 275-3533 so we can help you prepare your application (if necessary) and make the most out of your conference experience. GMAT studying, application writing, and campus visits have wrapped up, and you’ve just accepted your offer—congratulations and welcome to Simon! We’re excited to have you join our community. When I was coming into the first year of my Simon MBA, I wanted to make sure that I hit the ground running. I expressed this desire to the admissions team, and they suggested that I attend a pre-MBA conference. They helped me register for the 2017 Poets & Quants Pre-MBA Networking Festival in New York City. By the way—I’m also proud to share that Poets & Quants named Simon Business School the 2018 MBA Program of the Year! The Poets & Quants Pre-MBA Networking Festival is an annual spring event for MBA candidates headed to leading business schools in the fall. At the festival, you can network with your peers from across schools and make office visits to leading companies. It is a great way to explore new career opportunities including investment banking, management consulting, product management, and other MBA roles. Our company visits included Amazon, Google, McKinsey, Google, JPMorgan Chase & Co., and others. During these visits we learned about career opportunities, company culture, and what a day in the life looks like at each company. I knew I wanted to use my MBA to propel myself into a career as a product manager or a management consultant. For others who weren’t as sure, they had a fantastic opportunity to explore new potential career paths and gain insights from folks in industry. Once the conference ended, many of the companies extended invitations to apply to their internship programs before starting school. Amazon was one of the companies that reached out to me, and I applied to their 2018 summer internship program. I ended up interviewing with Amazon for a senior product manager internship in August. At the beginning of Fall Term I received the good news that I was headed to Amazon for my summer internship! Many of my other classmates had similar experiences, landing jobs early by attending pre-MBA conferences through Forté and The Consortium for Graduate Study in Management. Attending a pre-MBA conference and securing a summer internship opened up a plethora of new opportunities during my first year. Time I would have spent recruiting was now free to dive into other activities to shape my MBA experience, including attending international immersions and joining student clubs and co-curricular activities. If you’re given an opportunity to attend these conferences, be sure to take the plunge and get your head start! Our students. Simon students impress us every day—they are exceptionally bright, hard-working, involved, and committed to making an impact on our community. Our students are the heart of everything we do at Simon. Our faculty. At Simon, you will work one-on-one with thought leaders in finance, accounting, economics, management, and marketing. Our faculty will challenge your assumptions, guide your intellectual pursuits, and provide astute industry advice. It’s no wonder they routinely receive an “A” for teaching quality from Bloomberg Businessweek. Our location. Its proximity to New York City and other major metros combined with its affordability—a two-bedroom apartment in a complex is roughly $750 per month—make Rochester, NY, a great place to pursue a graduate business degree. Plus, you’ll get to experience four seasons and all the beauty each has to offer. Our community. At Simon, clubs, case competitions, and other experiential learning opportunities will introduce you to students across all our full-time programs. You will get to know your peers on a professional and personal level and build a network that will support and enrich you throughout your career. We would love to have you join the Simon family. Take the first step toward your future business career: our Round 3 full-time application deadline is tomorrow. Don’t wait—apply now!